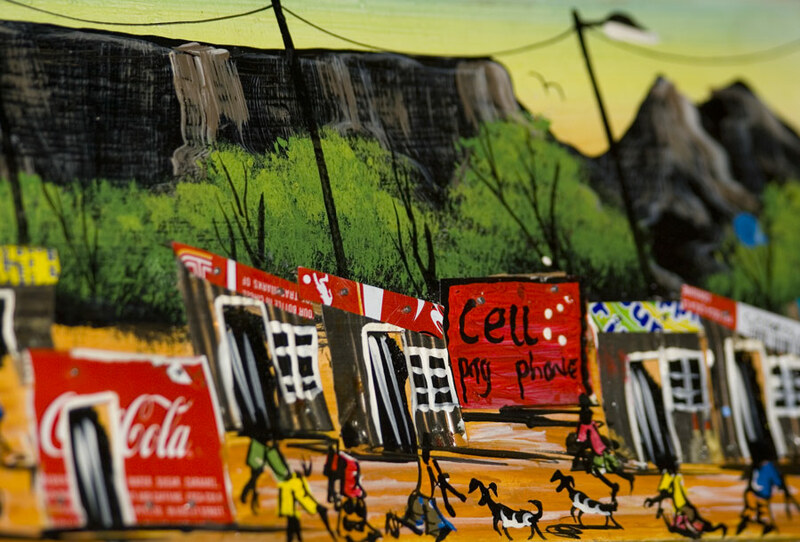 It's difficult to see from the cropped photograph that the tin-shack houses depicted in the foreground of this 430x140x16mm chipboard painting have a 3D appearance. They're actually made from discarded aluminium soda cans! We bought this piece of art today for R100 (approximately 10 Euros); the artist was selling his work at traffic lights on the Newlands part of the M3, at the foot of Table Mountain. Framed it'll look absolutely stunning. Posted in General on Tuesday, 4 September, 2007 by Paul.